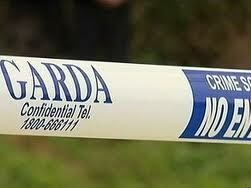 UPDATED: THE man who died in a road accident in Inishowen on Friday was a local man. The accident happened on the road just outside Moville just before 5pm. The dead man was named locally as Danny Doherty, in his 60s, and a welder from Quigley’s Point. The road has been sealed off and gardai and ambulances are at the scene. The incident happened after Gardai issued an urgent warning about black ice on many stretches of road across Co Donegal tonight. It is understood the vehicle involved was a Land Rover jeep. The scene of the crash will be closed overnight with a forensic examination expected all day tomorrow. Earlier a Garda spokesman appealed for motorists to slow down because of poor road conditions.